Open Channel: Who's Dying Tonight on The Walking Dead? The first episode of The Walking Dead season 7 will air Sunday night, after one of the series’ most sadistically ingenious cliffhangers. We’ve been waiting for months, tossing out fan theories left and right, and now we’ll finally find out who Negan killed with his “barbed bat of death” (trademark Beth Elderkin, 2016). But for now, let’s speculate! Ideally as wildly as possible. We’ve pretty much garnered that Rick’s going to make it out of this one alive- although one of his body parts might not. Thanks in no small part to AMC’s “police state” of a spoiler-free zone, the actual victim of Negan’s wrath has been kept under lock and key. Still, our Morning Spoilers have been ripe full of theories, rumors, and ideas about who Negan’s going to axe off during Sunday night’s episode. So, in the final hours before The Walking Dead returns, let’s openly speculate about who’s going to be dead by the end of the episode. My money’s on either Daryl, whose time just feels like it’s come, or Glenn...not only because he was the victim in the comics, but also because that fake-out last season pissed me off. Let us know what you think in the comments. 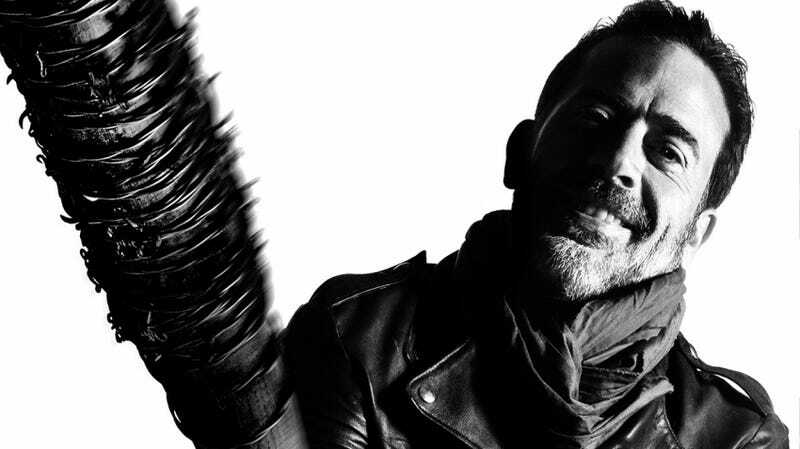 Could Negan Kill More Than One Main Character in The Walking Dead Season Premiere?